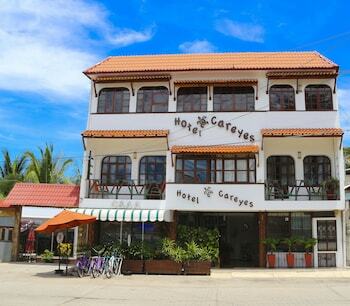 With a stay at Hotel Careyes Puerto Escondido in Puerto Escondido, you'll be within a 10-minute walk of Puerto Angelito Beach and Commercial Walkway. Featured amenities include a 24-hour front desk and a safe deposit box at the front desk. When you stay at HOTEL BARRA DE NAVIDAD in Barra de Navidad, you'll be on the beach and 5 minutes by foot from Barra de Navidad Beach. Located in Bucerias, Aventura Pacifico is by the ocean, a 2-minute drive from Playa Bucerias and 6 minutes from Flamingos Golf Club. Free self parking is available onsite.